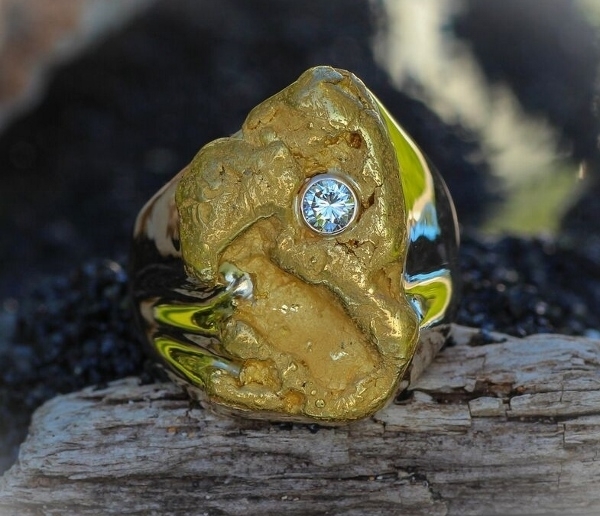 This ring features a stunning Alaskan Gold Nugget with a bezel set diamond in 14kt yellow gold. This custom ring has sold. Every nugget us unique and this ring can't be duplicated. Give us a call and we can create something with similar design elements.